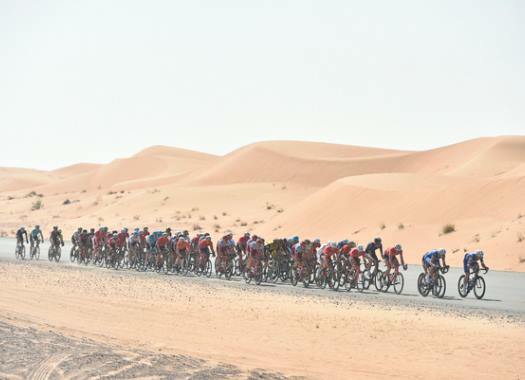 The Dubai Tour and the Abu Dhabi Tour have announced a merger to create the UAE Tour, the only UCI WorldTour race that will take place in the Middle East. The first edition of the race will be in 2019 and is set to start in Abu Dhabi and finish in Dubai, while the 2020 edition of UAE Tour will have the route in the other way. As the editions pass, organisers expect to expand the race and include more stages. The organisers of the newly created race will be the Sports Councils of Dubai and Abu Dhabi, in partnership with RCS Sport. This group has already organised nine editions of the Dubai and the Abu Dhabi Tours. "I am fortunate to have been able to realise my dream of being a professional cyclist," said Yousif Mirza of UAE Team Emirates. "I am able to travel the world and have the honour of representing the United Arab Emirates in the most important World Tour races. "It started with the joy I felt riding my bike as a child, which I would like more young people in the UAE to experience. I am proud to support the Educational project which, together with the UAE Tour, will be a great way to inspire future UAE champions."